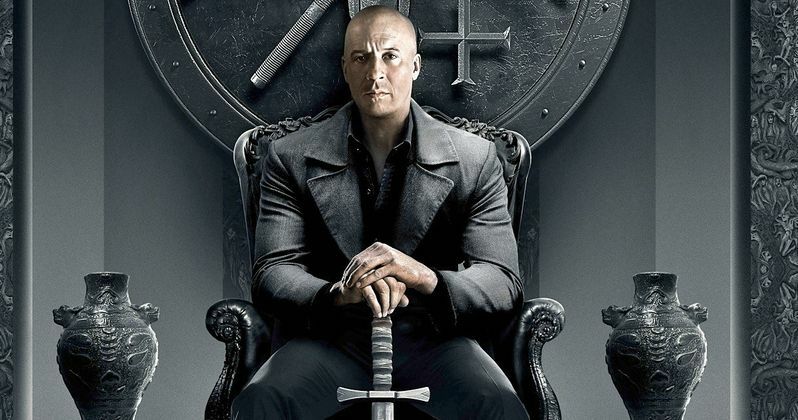 Coming off the first teaser that debuted back in April, Lionsgate has unveiled the brand new trailer for The Last Witch Hunter, arriving in theaters October 23. After starring in the worldwide blockbuster Furious 7, Vin Diesel is trying to launch another franchise with this action-adventure, which already has a sequel in the works, months before the original hits theaters. We'll have to wait and see if this new movie will be as successful as his Fast & Furious franchise, but it certainly has all the makings of a genre hit. Today Kaulder is the only one of his kind remaining, and has spent centuries hunting down rogue witches, all the while yearning for his long-lost loved ones. However, unbeknownst to Kaulder, the Queen Witch is resurrected and seeks revenge on her killer causing an epic battle that will determine the survival of the human race. The supporting cast includes Rose Leslie, Elijah Wood, Ólafur Darri Ólafsson, Rena Owen, Julie Engelbrecht and Joseph Gilgun. Breck Eisner (The Crazies) is directing from a screenplay by Cory Goodman (Apollo 18), Matt Sazama & Burk Sharpless(Dracula Untold). It isn't known yet if these filmmakers will be back for the movie sequel that Lionsgate is already developing, but we'll have to wait and see. The follow-up's development will surely depend on the original's box office performance, and it will face plenty of steep competition. The Last Witch Hunter will go up against Universal's Jem and the Holograms, Paranormal Activity: The Ghost Dimension and Rock the Kasbah on October 23. Do you think this genre action thriller will slay its competition at the box office? Or will it fail to scare up any decent business at the box office? Let us know what you think after checking out the new trailer.